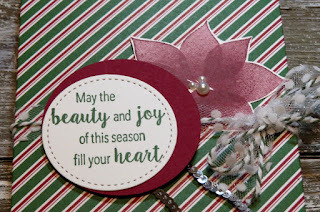 Karina's Kreations: Make beautiful packaging with the Stylish Christmas stamp set! 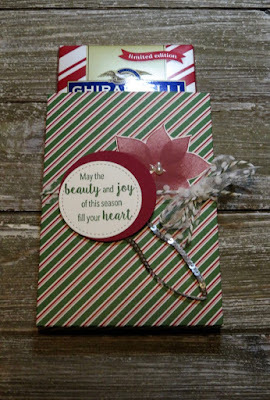 Make beautiful packaging with the Stylish Christmas stamp set! 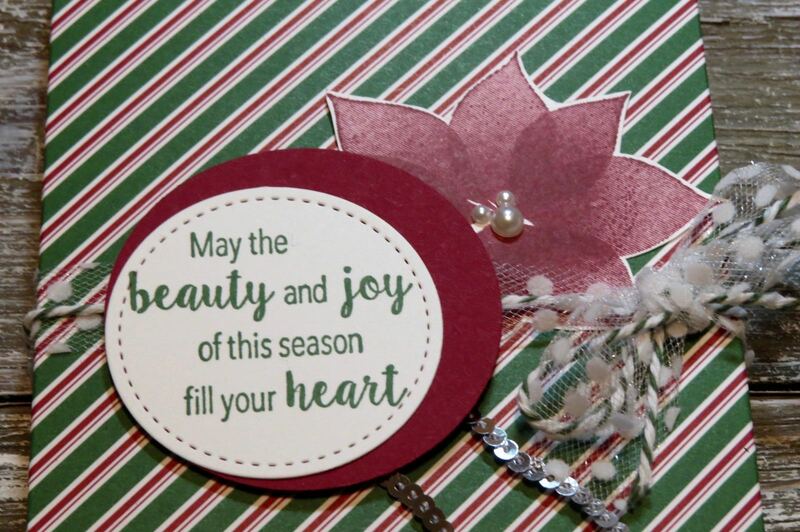 Create beautiful packing with the Stylish Christmas stamp set and Dashing Along Designer Series Paper. I made a box from 12" x 5" designer series paper. The short side was scored at 1/2" and 4-1/2" and the long side at 5-3/4" and 6-1/4" on the long side. Cut the long side at two places to make tabs for your box. I decorated my box with the supplies listed below.